Since responding to your reply to my first open letter a number of people have approached me and have asked me to put questions to you as a director of transparency International . These statements indicate to me that you and Transparency International New Zealand may have missed the point on this entire issue. it is about corruption in our public sector , how it is concealed and about our ministers in ability to act responsibly when issues of corruption are brought to their attention . Unfortunately Transparency International New Zealand claims that we have the least corrupt Public service in the world , if this was the case I would still expect to find corruption but I would expect that there were policies and methods in place throughout the public sector which would ensure integrity and systems of accountability . Corruption = monopoly + discretion – accountability . I have actually come across items where it stated that due to the relatively corruption free environment such policies are not required .This was all driven by the fact that New Zealand was perceived to be the least corrupt . Our report finds that the mechanisms that support a high integrity and high trust society, and that facilitate social and economic development, remain generally robust but are coming under increasing stress. There has been complacency in the face of increased risks“. It was not coincidence that TINZ was at the time funded by the very organisations on whose behalf the report was being written. see here To me this appears to be a conflict of interest which in itself is corrupt . Now if TINZ had taken the trouble to listen to the issues which I and other whistleblowers had raised rather than treating us as a villains then the person conducting the integrity review could have included some very valid points. But then the results would not have been so glowing . In an impartial and thorough evaluation of integrity in the public service an important aspect would be to monitor public service deals with complaints, this can be done by listening to whistleblowers and evaluating their experience based on the evidence that they have to support their claim . The reality is that the public sector does not know what investigation is . As a result they investigate the persons and not the issue. It appears to me , on what I have seen and experienced ,that the public service definition of investigation is about speaking to the persons involved and short cutting the process by accepting what they are told by their trusted colleague , evidence plays almost no part and assumptions , preconceived ideas and perception of integrity of persons are what is accepted and considered. Of course if they want to get rid of the person involved then any complaint will do . The person “investigating” and coming to an adverse conclusion could of course be implicating his /her work mates and in a way the investigator becomes the whistleblower and become unpopular at work . So what does the public sector do they turn to manuals , so they go to the ” Good administration guides” published by your gold partner the ombudsman’s office . What do you think the “Go to” resource will be , which one allows them to get the head ache off the desk and Write off the matter ?.. yes that’s it “the unreasonable complaint manual” its the thickest and was copied from Australia minus the essential resource “Unreasonable Complainant Conduct Model Policy” . In NZ and our manual simply refers the user to locate the model policy on the Australian web site. This essential part of the document which is missing in NZ stipulates that each organisation should rely on their organisations own policies for unreasonable complainants. So with that part missing so are the policies in our public sector and there is no go to person to decide who can make the call on unreasonable complainants and how they are defined. While I accept that there are fruit loops out there at all times it could be the complaint and not he complainant who is evaluated. and if a complaint is properly and fairly evaluated then people don’t get cross if they are shown why their complaint comes unstuck . Organisations also need to take steps to ensure that their UCC policies are applied cautiously and sparingly. I had been on a trust with Neil Wells , I was treasurer and he was using trust resources and used the trust for his own benefit , I did not know this at the time but I was asking questions due to the trust being in danger of becoming insolvent . He removed me from the trust by telling lies . I sent him a fax to his work place , Waitakere city council dog control to express my opinion that he was the biggest bully I had ever known . Lyn Macdonald who worked at waitakere city council as a dog control officer saw that I was a private Investigator , she too had been bullied by wells and he later got her kicked out of her job for associating with me . she asked me to find out who or what AWINZ was , she had been a dog control officer for many years but was now required to prioritise animal welfare over her council paid duties. I searched for AWINZ but could not find any record of it existing , I did a OIA with MAF and a LGOIMA with council I found that although both had a MOU with AWINZ( MOU Waitakere MOU MAF) neither had a copy of a trust deed . 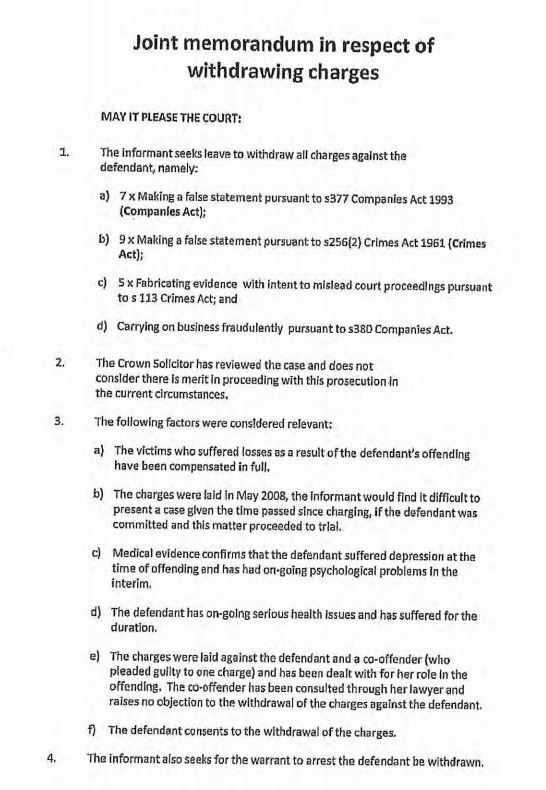 I obtained other documents from MAF which indicated that AWINZ had to be a real or legal person . 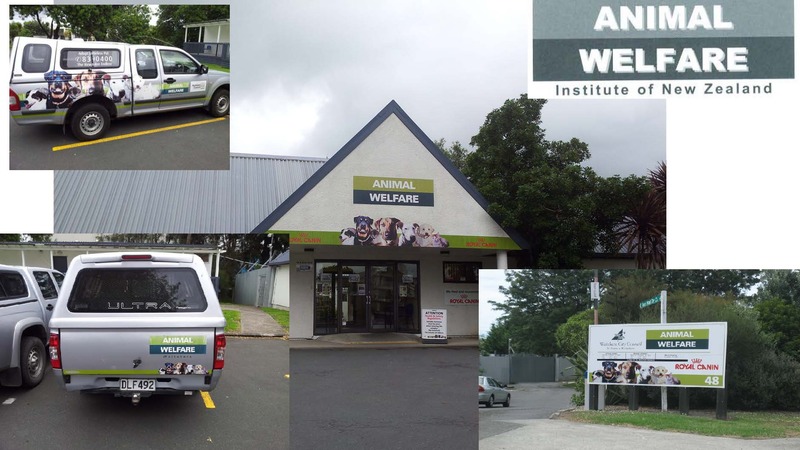 This was 2006 and registers were not that easily searched so with others we formed and incorporated a trust called the animal welfare Institute of New Zealand . we did not expect to be successful but we were, this proved conclusively that the entiy which Neil wells claimed to operate was fictional. an unincorporated trust can be a group of people who are trustees in a trust which they then give a name , the legal name for that trust is (the names of all the persons ) as trustees in the .. trust. An incorporated trust can use the name of the trust and trade in that name without referring to the trustees as the trust is registered and becomes a legal entity in its own right , our trust was incorporated ANIMAL WELFARE INSTITUTE OF NEW ZEALANDNeil Wells had previously registered ARK ANGEL TRUST BOARD and the NATIONAL ANIMAL WELFARE TRUST BOARD both were registered in mid 1999 these were all legal persons in their own name . since the trust had not been formed but was allegedly in the process of being incorporated the application should have been in the names of the four people shown as trustees of AWINZ and each should have at least signed the trust deed and each would have to take responsibility for their role in running a law enforcement body by signing a document committing to that role. The reality was that the trust did not exist as there was no trust deed . The deed are not registered with the ministry of commerce . Just this little bit of information should make the investigators look more closely but Wells was well connected to MAF and was known to ministers he was even able to write caucus papers . Graeme Coutts .. a non questioning JP who worked in the office beside Wells and beside the RNZSPCA his name had been on the original application . Tom Didovich .. the previous manager of Dog control who had written letters outside his field authority claiming to give approval on behalf of council . Tom Didovich was in this up to his neck and went out to get the signatures of the alleged trustees when the deed was missing.. probably missing because hit had never been signed . so Maf and Council threw up brick walls and I became frustrated, My marriage fell apart due to action which wells took on the side line and also his desire to bankrupt me which was stated in 2007 to Joanna Tuckwell who was so obliging that she regularly communicated with wells with regards to my requests and complaints. Wells took me to court for defamation , his lawyers Brookfields did not check to see if there was a trust deed before commencing proceedings , Nick Wright a resource management lawyer started the proceedings by having his then wife harass me , they then ensured that my defence of truth and honest opinion was struck out , the fed the court a lot of BS and Voila a judgement which they could wave around to discredit me and use to apparently legitimise AWINZ . every one happy except that Wells kept attacking me subversively and saw to it that I lost my ability to earn a living through private investigations . when he appeared before the lawyers and conveyancer tribunal he sought name suppression as he was still fearful of being caught out and knew that I would use that decision for his corrupt conduct to have the investigation into AWINZ opened. can you see that we have a problem ? If we conceal corruption and give the public sectors resources which help conceal corruption then we have no corruption . You report that there is integrity in the public sector and by refusing to look beyond the perception which you help create . whistleblowers and their families have their lives destroyed . You don’t have to support our complaints but if you are going to evaluate integrity in the public service, then you have to ensure that proper and fair complaint measures are available and that the issues are dealt with . I am by no means alone , those of us who are more prone than other to speaking up are easily Labeled Uncooperative complainants because that way we remain the least corrupt and after all ask any economist .. that’s good for business. will you monitor the complaint making process ? Where is the transparency in your accounts you have $400,000 of your 500,000 expenses written off as other expenses .. does this include wages .. who to how much and why be conflicted when you could be making a real difference to corruption in New Zealand instead of being part of the problem . Sent: Wednesday, 9 August 2017 11:37 a.m. I am sorry that you don’t agree with the methods I use to pursue my case but after 11 years I think I have tried everything to bring this matter to the attention of the authorities and misters . Should bringing corruption to the attention of the government be this hard ? 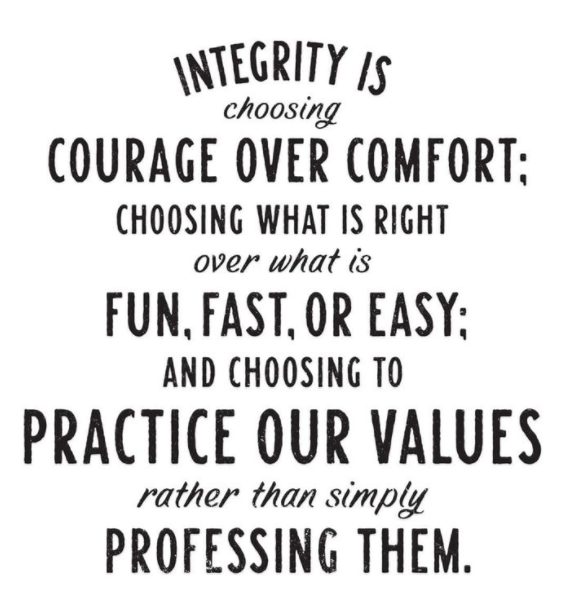 If it is ignored what does it say about our values? I acted in good faith on a matter of public interest which I raised with the purest of intentions after a council employee had come to me . In becoming a vocal whistle-blower I also became a go to person for those with issues of their own . In the 11 years at the coal face of corruption I have found why corruption is so prevalent in New Zealand and I thought that this information would be of use to TINZ. How can you work on the issues of integrity , change of policy and political attitude if you yourselves remain uninformed of what is occurring and shun whistle-blowers. You ask “If Neil Wells is so horribly corrupt, who is he exploiting now?” well the short answer is that he died last week but the legacy of what he set in action lives on. writing legislation for your own business plan is condoned. you can be an independent adviser to the select committee on matters in which you have a personal financial interest. That he can influence the government department to such an extent that the Whistle-blower is discredited and no one verifies that a fraud has occurred or not . Simply put he has proved that if you make it easy for the public servant , have their trust and liaise with them frequently and meet with minister then you can get them to accept anything and they won’t check. Rule number one never verify . Being a barrister helps after all a man of the law knows and would never be corrupt . You say “We see the global trend towards tip-offs and leaks being more effective than formal whistleblowing” Please tell me the difference . If I am screaming corruption now it’s probably because after 11 years of hitting my head against a wall and having my reputation maligned it’s the only thing left to do . You state “Transparency International NZ “approaches corruption in a different way, attempting to give the whole system more tools & techniques for exposing and preventing corruption. ‘ How can you prevent corruption when you don’t know what the symptoms are ? Cancer left untreated will kill you corruption left untreated will kill our country and indeed will have killed many in its path . I know this as at one stage I was suicidal . My criticism of TINZ has been that you prefer not to know about corruption and appear hell bent on portraying New Zealand as the least corrupt to enhance business interest. When I heard Jose Ugaz speak I was heartened I would never have thought that you belong to the same organisation . You have no idea how difficult it is to see transparency International run programmes such as WHISTLEBLOWING FOR CHANGE, etc yet be shunned by your local branch . 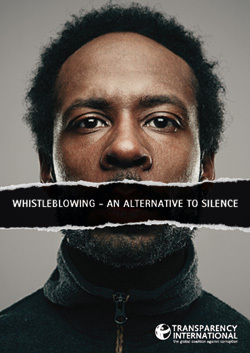 I did not wake up one day and decide to become a whistle-blower. I was a mother had a family of three teenagers thought I was happily married , I helped a lady at Waitakere city council and my whole life changed . this should not happen to any one ! Rather than checking out my claims they colluded with the perpetrator who then took me to court for defamation, deceived the court and got a judgement against me by denying me the statutory right of defence. That judgement has been waved about ever since to discredit me. My marriage was simultaneously attacked and my funds were frozen I could not fight back .Lawyers cost money . when My matrimonial property was settles I got a lawyer he happened to be Evgeny orlov who fleeced me and was himself embroiled in matters relating to the panama papers . He had no credibility with the court and was at one stage struck off , just my hard luck that he was my lawyer . Just prior to his death I found a news item on the law society news Censured lawyer gets name suppression , I recognised the events and from this have speculated that Mr Wells was actually a corrupt barrister . I was charged with alleged breach of a suppression order , the police didn’t need evidence to charge me , it took them 6 weeks to find something that could at a stretch be an order but in reality is vague . Our biggest issue with corruption in New Zealand is that we thrive on perception , make someone out to be bad and they are bad forever and no one will ever look at the evidence . Evidence is what Jose Ugaz felt is essential in proving corruption but evidence plays no part in our courts. Barristers such as Neil Wells and their legal representatives have the ability to influence the court without any evidence this is reflected in a speech made in 2014 by : Justice Helen Winkelmann – Chief High Court Judge of New Zealand (Helen Winkelmann’s 2014 Address). David the process of holding lawyers accountable to the rule of law is long and again the lawyers word is preferred over the complainant. I have lost my PI licence , the matter is still under review by the LCRO, I was accused of harassing a lawyer for telling him that he had an obligation to the rule of law and could not use his office for fraud. Such is New Zealand today have not even touched on to another raft of issues. I am sure that we could work well together we would both like to see corruption contained and by providing policies that work much grief can be avoided. I wonder if the Joanne Harrison matter could have been prevented if the lessons which could have been learned from AWINZ had been implemented. No one should have to go through what I have had to endure there is only one way forward and that is by providing transparency . I would like to join TI NZ we can learn from each other . In 2006 I unwittingly became a whistleblower on serious corruption . 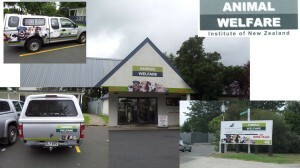 I discovered that the Animal welfare institute of New Zealand (AWINZ) did not exist in any manner or form . Neil Wells a barrister who is now known to be corrupt wrote the legislation for the animal welfare act to facilitate his own business plan, He made a totally fraudulent application claiming that the application was being made by a trust. for 11 years the Government ( both National and Labour ) have failed to address she issue of fake identities in trusts . I have long claimed that identity fraud in companies and trusts is the greatest corruption we face in NZ today. Bill English’s wife and her association with the 1,000,000 grant. I’m not saying that there is anything up with what she has done but the “trusts ” she is involved with certainly appears odd. but in a page dedicated to a board there is just one small clue to be found ” Pacific Inc, trading as Le Va, is an organisation with charitable status governed by a board of trustees ” it just shows how little people know about trusts and companies . Companies have directors and trusts have trustees. Wise Group is a group of charities , which does not have any legal status of its own , its neither a legal person nor a natural person but the incorporated charitable trust wise trust board owns a conglomeration of companies . While le va does appear to have foundations with a legal company why do we have to use a trading name that is so different to the legal name . Wells signed agreements in the name of this fictional trust with MAF and with the dog control section of waitakere city council. He applied for the position of Manager without declaring his conflict of interest and got the job effectively then becoming both parties to this mou . In 11 years I have not been able to get any progress on this matter ,I have truck loads of evidence but this matter has been actively covered up by MPI and the former Waitakere city council and Auckland council. The Police and SFO have played a game of hot potato with the case one saying its too serious the other saying it isn’t serious enough. I have learned that Wells engaged a private investigator to set me up , I have just discovered that Ron Mc Quilter drafted a witness statement which he then had a witness sign and did what he could to ensure that I would lose my PI licence. 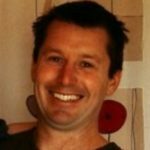 Rons Business partner just happens to be bryan Mogridge of the committee for auckland and previously enterprise waitakere , good reason to see me discredited . the AWINZ matter has highlighted to me the level at which corruption is condoned in New Zealand . We have a tendency to ignore crime at the top of the scale but pounce on the simple straight forward matters. My petition was thrown out by Mike Sabin .. now no one got to hear about his sins… and he most certainly did not own up to them . 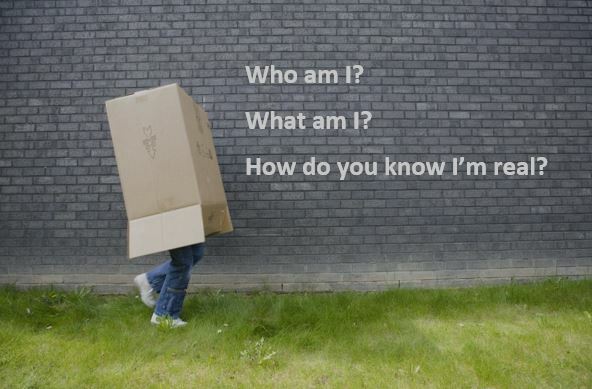 I have seen everything from fake companies fake addresses fake liquidators proxy directors fake directors. all of this is possible and apparently condoned. On page 65 of my evidence you will see that the crown law office memorandum seeking to have the 22 charges withdrawn for a a well connected american business man Terry Hay , former business partner of David Nathan , for charges relating to company fraud. so why are we being so tough on Metiria Turei for historic deeds of hers. The awinz matter has been covered up at 40,000 feet , the fact that it has not been investigated 11 years after reporting it shows that this tactic of using fake names is more common than we think . Just like the Joanne Harrison matter where she concealed her frauds the same occurred in the MPI . I have evidence of OIA’s being run past Neil Wells, he was consulted and kept in the loop of my questions and contacts with the mpi. there were people in the auditor generals office who told me that they did not want to touch it as they were too close to retirement and were not wishing to place themselves in such a precarious position . Many years ago in police College I learned that those who stand by and do nothing are as guilty as the perpetrator of an offence . Those who assisted in concealment of an offence were called accessories to the fact or accessories after the fact . (1)An accessory after the fact to an offence is one who, knowing any person to have been a party to the offence, receives, comforts, or assists that person or tampers with or actively suppresses any evidence against him or her, in order to enable him or her to escape after arrest or to avoid arrest or conviction. so while some politicians admit to frauds of the past others stand by and let them happen . Unfortunately I believe that by looking at corruption in New Zealand we can learn from it and prevent it from growing. I was very impressed with your presentation at Massey University, Palmerston North . The views you promoted on Behalf of transparency International resonated with me and I felt sad that Transparency International New Zealand does not hold the same values as the international body . You regarded whistleblowers as essential to uncovering corruption but the local professor quickly added that whistleblowers are regarded as tell tales and then there were some comments by him abut obtaining information unlawfully. I can assure you that the truck loads of information I have collated have been acquired lawfully and it sets out a major issue which we have in New Zealand and that is the use of trusts. We use trusts to the extent that we invent trusts and although the invented trust is totally bogus they appear to be able to act like legal persons , no one checks. It shoudl be the lawyer’s responsibility to ensure that such action does not find itself in court and he and he alone should be held accountable to the full force of the law. He and his corrupt lawyer took action against me for defamation for saying that the trust was a sham. I was denied a defence of truth and honest opinion and through the false allegation that a similarly named ” trusts ” created retrospectively ws one and the same he misled the court and effectively the fiction became reality . I see the courts reliance on the word of lawyers as the single largest contributor to corruption in New Zealand . Things are sanitised and legitimised through the courts by misleading the court .. no evidence is ever required. Trusts in New Zealand are therefore the no 1 vehicle of choice for fraud and money laundering , if our courts and lawyers don’t check to see if a trust exists then its open slather . 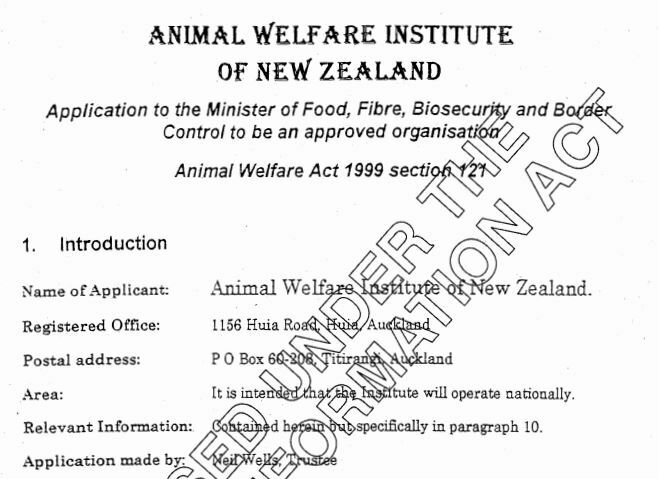 In the case of animal welfare Institute of New Zealand (AWINZ) I asked the solicitor general to investigate the trust and the various trusts that have been set up to jump through time and vacuums to give the illusion of reality. If a trust does not have to have a legal structure which commences and continues in any verifiable form then we are dealing with fiction . New Zealand is very much a Victorian colony which is coming of age through the use of computers . that is why whistleblowers are silenced here. 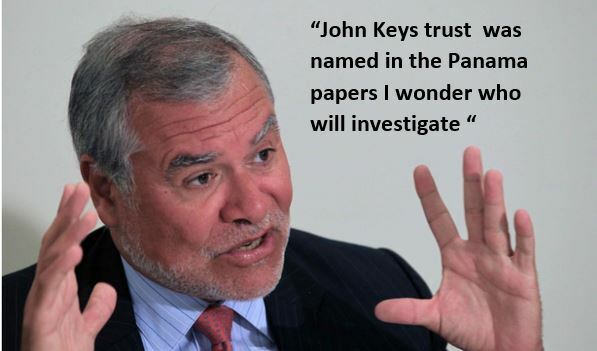 You raised a question with regards to John Key and asked why had no one investigated him. The answer is simple you just need to look at what I have suffered and you soon realise that if you even ask one question out of place you will be discredited and your life will be in tatters . Your comment and my research on Key since leaving the meeting has made me realise why no action has ever been taken with regards to AWINZ, for 11 years I have said it is a blue print and sure enough it has been . If a fictional trust can be a law enforcement authority then it can be anything. In 2014 , Andrew Little presented my petition for a commission against corruption to Parliament , I was the lead petitioner . I was asked to present evidence as to why we needed such a commission and I supplied my evidence it is at this link you will see that I touched on panama, I was taken to court with regards to my discoveries of these panamanian companies and Hungarian alcoholic directors , I was silenced . Transparency International New Zealand in my opinion serves only to ensure that New Zealand status as least corrupt is preserved. To do this they actively ignore corruption and pretend that it does not occur. Transparency International New Zealand gets funding from the key public service agencies to do the integrity reports on the public sector. Quite personally I think that that is a conflict of interest and corrupt . The reality is that New Zealand is in my experience rotten to the core we have cheated on our exam cards ( the perception index) and that makes us among the most corrupt of them all . When simple corruption is covered up at high levels and they have to go as far as to discredit you then you know that the corruption is deeper than any one imagined. I look forward to a response from you and look forward to being able to work with transparency International to address corruption in New Zealand and not be part of the problem by concealing it. 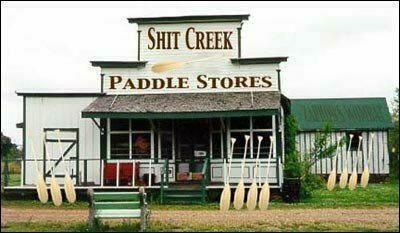 Of course, those are hardly the only issues that need fixing. Prime Minister John Key of New Zealand has been curiously quiet about his country’s role in enabling the financial fraud Mecca that is the Cook Islands. 7 May 2016 Why was John Key singled out by Panama Papers hacker? A Mexican construction tycoon dubbed the ‘Duke of Influence’ joined a rush of foreign money into tax-free New Zealand trusts. Juan Armando Hinojosa Cantu, who built his fortune from billions of dollars in Mexican government contracts, was investigated for lavish housing deals with Mexican political figures. On July 1 last year, Cantu’s Miami lawyer said his client had “circa $US100 million” to put into three New Zealand trusts. Maltese investors who had been turned away from nine banks in the Caribbean, Miami and Panama eventually found a home for their money in New Zealand trusts. Demand for New Zealand trusts went into overdrive late last year with Mossack Fonseca staff in Panama urging New Zealand staff to “chase the money”.